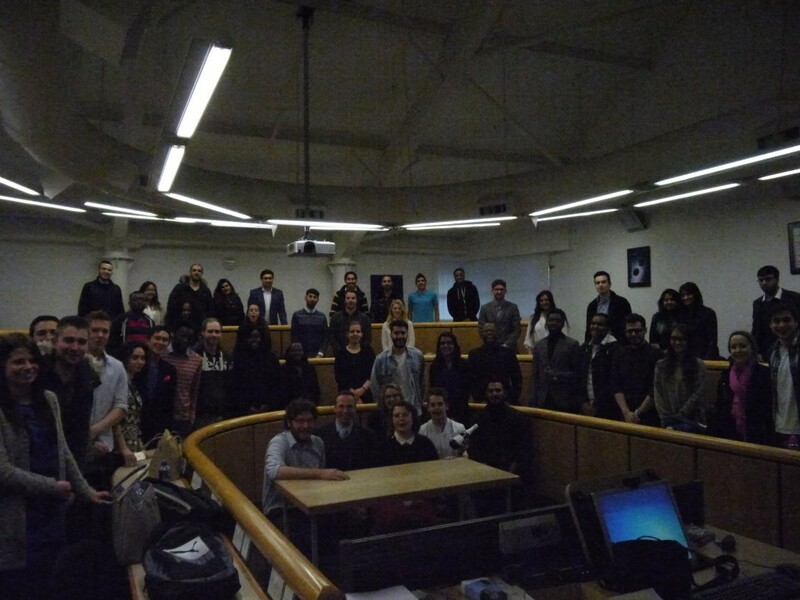 Eighty final year undergraduate students working in 12 groups were given the opportunity to pitch their innovative and practical ideas back to senior managers from the University of Kent’s Gulbenkian Arts Centre. The student teams were tasked with developing an imaginative communication strategy to support the Gulbenkian’s bOing! Festival and make it the unmissable event of the summer for all East Kent families. This real-life business challenge was an opportunity for students to put into practice their classroom teaching through contextual market analysis, target market segmentation, and promotional and communication strategy reviews. The panel was given some great insights into customer demographics, awareness and inclination towards family festivals, as well as practical recommendations on themes for the bOing! 2015, managing in-house advertising, adapting the pricing strategy, and expanding the customer database. “the Pitch It! event was a great experience. Jess and I loved being part of the X-factor style judging panel and we got some great ideas from your groups. It was a shame in a way there had to be only one winner”. Dave Yard and the School are in discussion about internship/volunteering opportunities for the winning group. The Pitch It! Challenge proved a fantastic and rewarding experience not only for the winners, but for all participating teams who will be able to enhance their CVs having taken part in this extracurricular real-life business challenge. Pitch it! is a great way for organisations to get new ideas, both highly innovative and practical, to consider back at base. In the past, business pitches have looked at human resource management, strategy, branding, market segmentation analysis, media & communication plans. For more details about the Pitch it! scheme and other opportunities to partner with Kent Business School and work with our high calibre students, visit our website.